Shubhya International is a Strategic Product Sourcing Company which serves overseas buyers & importers for their sourcing requirements of engineering parts/components/sub-assemblies from India. Shubhya’s services include Product Sourcing, New Supplier development, Supplier appraisal (audit & factory evaluation), Quotations submissions for RFQ’s, Order follow-up, In-process Quality checks, Pre-shipment inspection and Logistics assistance. Shubhya is managed by a well organized team of professional technocrats having many years of experience in sourcing quality products from established Indian manufacturers. We work only with the finest manufacturers in India having State-Of-The-Art manufacturing facilities to guarantee our customers the highest Quality of products, packaging and delivery punctuality. We maintain quality of our services through continuous assessment of our suppliers and the products they supply. These suppliers have traceability codes that run through all their processes and they operate to ISO 9001 : 2008 Management Systems. We provide our international customers direct and convenient access to Indian manufacturers. We assist them from the very initial stage of inception of an inquiry to the final shipment. Shubhya is an effective solution to all needs not only for a successfully doing business in India but also one that is cost and time effective. We have adopted a system that is constantly focussed on customers and their needs and expectations. 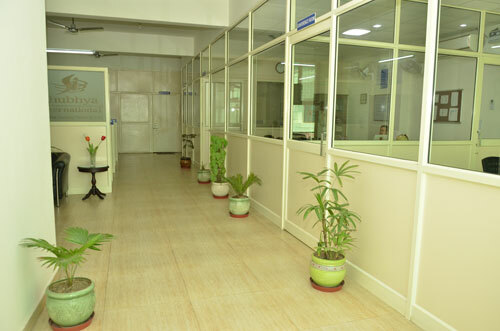 We are quick to develop and improve our services according to our customer’s requirements. We are proud of the work and business we do. We have the skills, knowledge and intuition to do the right thing and we deliver on our promises. We admit mistakes, fix them and learn from them.